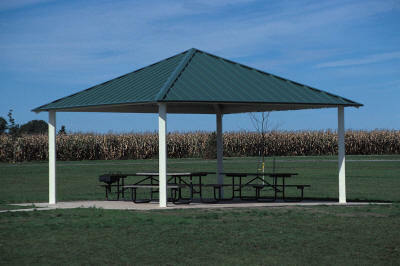 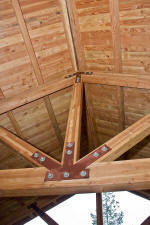 Picnic shelters and pavilions may be constructed of metal, post and beam, glu-lam beams and a mixture of all of these. 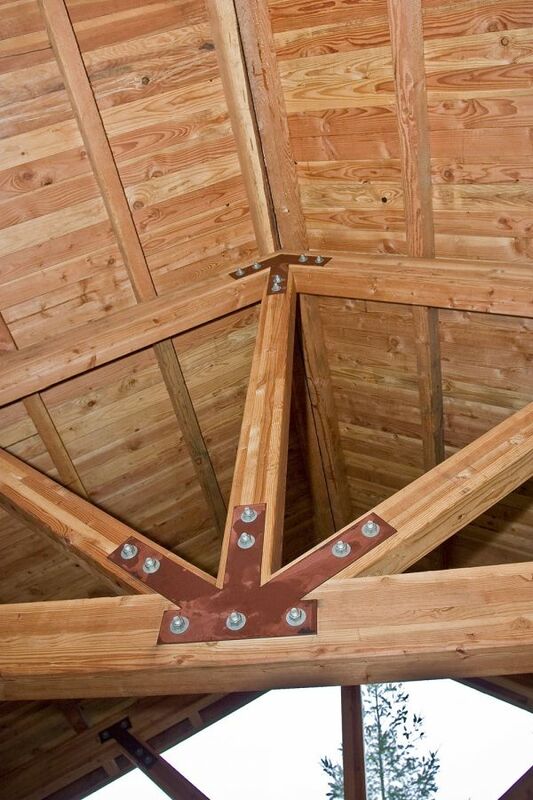 Several design styles are common here in North Georgia, from octagon shapes to the standard rectangular. 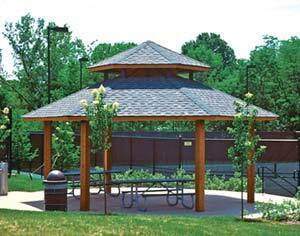 Shelters, gazebos and pergolas are very popular design elements .